Phuket Thailand is the most amazing place to plan your honeymoon as it has hundreds of 5 star hotels at the fraction of the price of what you could get a 5 star hotel elsewhere. There is something romantic about the island that draws newlyweds to the island, Phuket is Thailands number 1 destination for honeymooners all over the world. 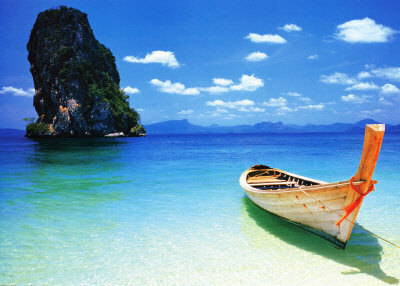 Most couples who come to Phuket come because they love the ocean and want their honeymoon to be memberable. What is more memerable than miles of white sandy beaches with a jungle backdrop, island hopping to the smaller islands near Phuket as well as reef diving, fishing, snorkling, jet ski's, amazing temples, treking, kayaking, wind surfing and so much more, Phuket is the ideal location to spend your honeymoon. So what about the accomodations? Does Phuket really have the best hotels in Thailand? Before looking for a hotel in Phuket Thailand check out the following top pick honeymoon hotels in Phuket. The Bell pool villa resort in Phuket was designed for honeymooners with private pools that are so secluded you can literally walk from your bedroom door and jump into the fabulous waters. Perfect for that romantic night in your hotel. This is a 5 star hotel in Phuket and lives up to it's reputation, room service serving both Thai food as well as western food. Get up to 70% off a nights stay at the Bell pool Villa Resort Phuket. The honeymoon villa is where most people love to stay, and the hotel goes all out to make sure your first few days married will be the most memorable days of your new life together. Newlyweds on their honeymoon will enjoy the service as well as the surroundings, try the 4 handed massage offered by the hotel masseus from the private of your own hotel room in Phuket. For those who love the water Phuket offers some of the cleanest waters in all of Thailand. Honeymooners especially enjoy the lazy lifestyle private beaches and secluded nature of many of the top resort and hotels in Phuket. 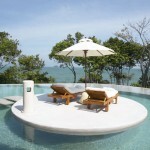 The Six Senses Sanctuary Resort in Phuket is amazingly romantic, away from the hustle and bustle of the downtown area. This Phuket hotel even offers it's own prviate beach only used by hotel guests. It's also amazingly good value for less than $150 per night! Imagine lying down alone on your own private beach with noone around except for you and your new loved one. What an amazingly romantic way to spend your honeymoon. 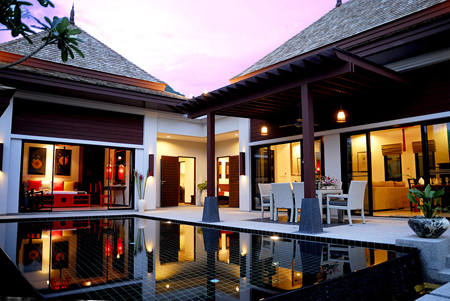 The Andara Resort Villas Phuket can only be described as Wow! Wow to the amazing picturesc views offered from your hotel suite. With private beach and private pool honeymoon suites the Andara Resort Phuket Thailand is a honeymooners dream. Romantic as it is quiet you are sure to enjoy your 5 star accomodations at Andara.